The AAS Members Meeting on Wednesday evening drew more attendees than usual, thanks to free beer and pretzels. The agenda included a changing of the guard, as David Helfand (Quest Univ.) assumed the presidency from Debbie Elmegreen (Vassar College). 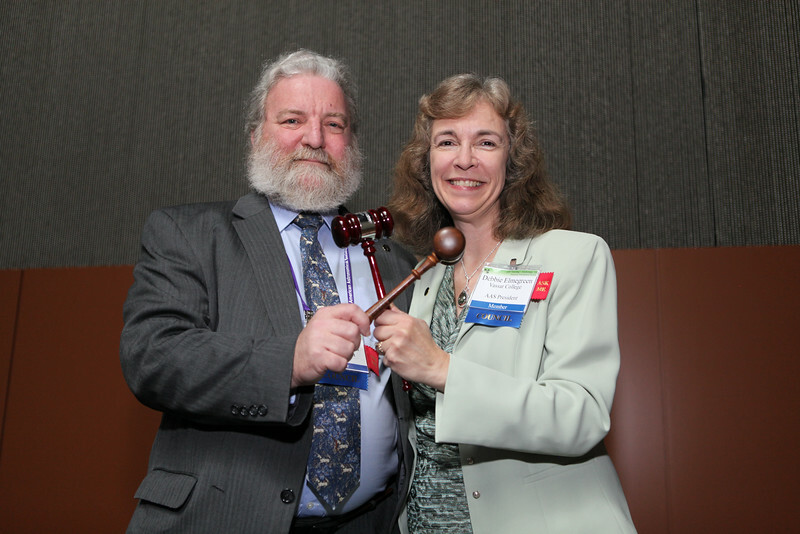 Debbie became so attached to her gavel over the last two years that the Society gave her an engraved keepsake to commemorate her extraordinary term, which David described as “an impossible act to follow.” AAS photo © 2012 Joson Images.